Surround yourself with scenic golf course views and the stunning beauty of the desert at the Crowne Plaza Phoenix Chandler Golf Resort. 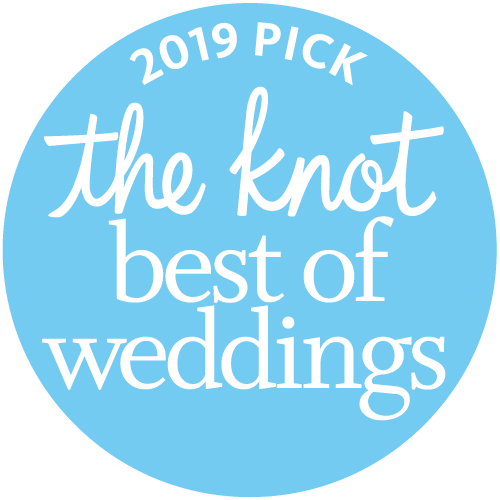 Listed on the National Register of Historic Places, we offer 35,000 square feet of stunning spaces, world-class catering, and stellar customer service, and have been planning successful weddings for over 100 years. 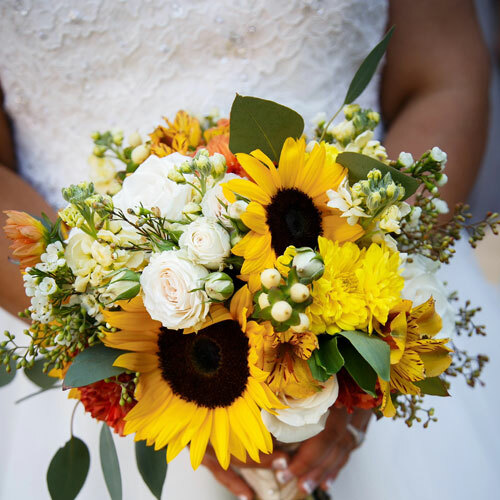 Like Chandler itself, we have a rich and diverse history and offer multicultural wedding packages to accommodate traditional Mexican weddings, as well as South American, Jewish, Middle Eastern, Hindu, Muslim, Asian, and Indian wedding ceremonies. Our dedicated wedding staff will work with you to ensure that all of your cultural traditions and requirements are met and that your wedding exceeds even your wildest dreams. Say your vows under our grand white arch at our most popular ceremony venue featuring lush greenery, orange trees and soft bistro lighting. The Courtyard can accommodate up to 250 guests and is ideal for Ceremony, Cocktail Hour, Brunches and Rehearsal Dinners. The intimate Pergola creates a stunning backdrop for ceremony and wedding photos. Its vine covered walkway is enriched with history and is the perfect location for a “First Look”. The Pergola can accommodate up to 100 guests and is ideal for Ceremony and Cocktail Hour. Escape the Ballroom to our rooftop terrace, La Terraza. Located on the second story your guests will love our cityscape and palm tree views. Overlooking the vine covered Pergola gives the rooftop terrace a touch of greenery. 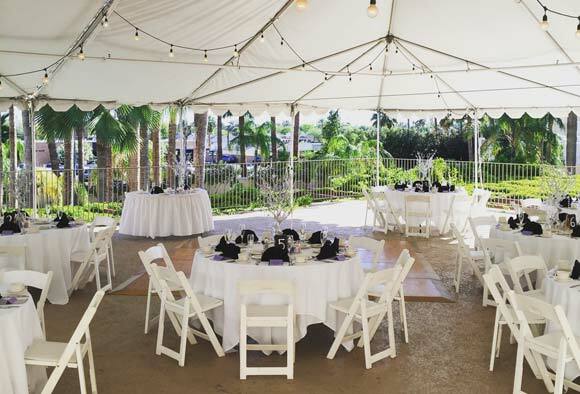 Its white tent creates a blank slate for you to create the wedding reception of your dreams. 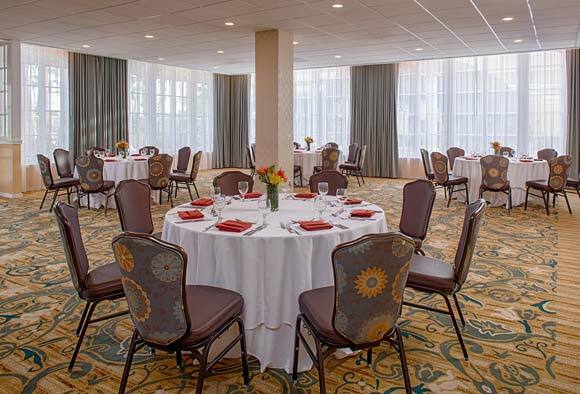 La Terraza can accommodate up to 125 guests and is ideal for Reception and Rehearsal Dinners. 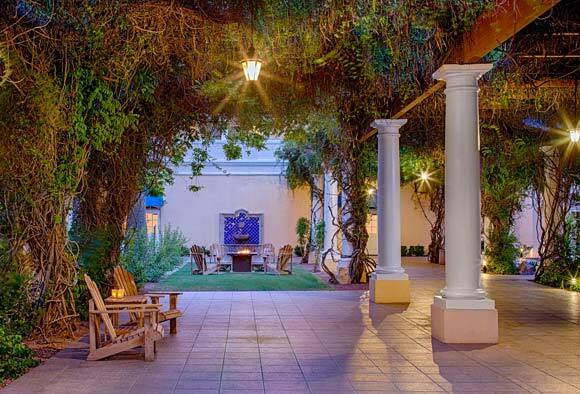 The San Tan Ballroom is located just off the Pergola, Guests can enjoy the use of indoor and outdoor space with the neighboring pool and fire pits. The classic wrought iron chandeliers give a hint of elegance among the ivory, burgundy and gold touches. 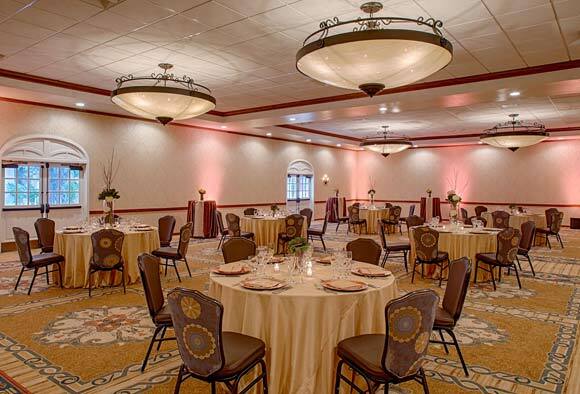 The San Tan Ballroom can accommodate up to 150 guests and is ideal for Reception. Our larger weddings are amazed by the 4 grand crystal chandeliers in San Marcos Ballroom. The expansive adjoining foyer creates the convenience for cocktail hour before entering the wooden doors to reception. Touches of gold, burgundy, ivory and navy compliment the glamorous ballroom. 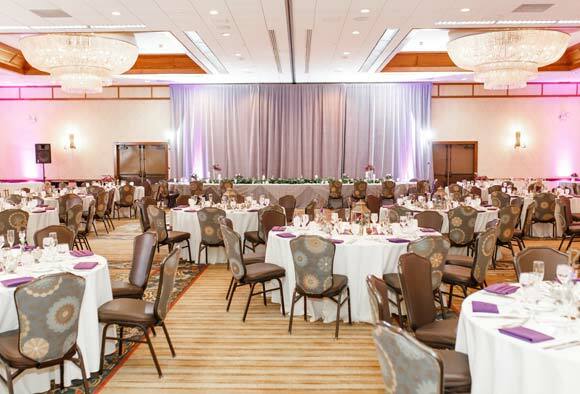 The San Marcos Ballroom can accommodate up to 250 guests and is ideal for Reception. Perfect for the intimate weddings of up to 75 guests, La Ventana encompasses simplicity with classic elegance. It’s large windows overlook the Pergola; with hints of gold, ivory and light blues it is the ideal reception space to celebrate with your closest loved ones. 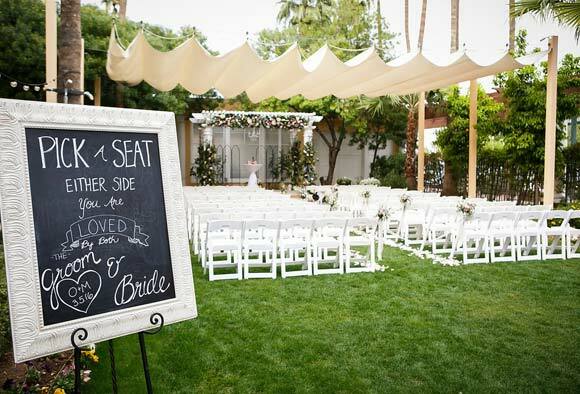 With 35,000 square feet of flexible events space, the Crowne Plaza is the go-to hotel for gorgeous weddings in Chandler. Whether you are planning an intimate indoor ceremony, an extravagant celebration, or a stunning outdoor wedding, we have the venue to meet your needs and exceed your expectations.